The following is an excerpt from an article on Wikipedia. The full article may be read here. Budai (Chinese: 布袋; pinyin: Bùdài), pronounced Hotei in Japanese, Bố Đại in Vietnamese, is a Chinese folkloric deity. His name means "Cloth Sack," and comes from the bag that he is conventionally depicted as carrying. He is usually identified with (or as an incarnation of) Maitreya Buddha, so much so that the Budai image is one of the main forms in which Maitreya Buddha is depicted in East Asia. He is almost always shown smiling or laughing, hence his nickname in Chinese, the Laughing Buddha (Chinese: 笑佛; pinyin: xiào​fó). Many Westerners confuse Budai with Gautama Buddha. Amongst those new to Buddhism, or otherwise unfamiliar with its history, Budai is often conflated with (or simply replaces) the historical Buddha, Siddhartha Gautama, in spite of the distinct visual differences in how each has been depicted. In India, Nepal, and throughout southeast Asia, Gautama (who lived during the 6th c. BCE) is commonly depicted as being tall and slender in appearance. 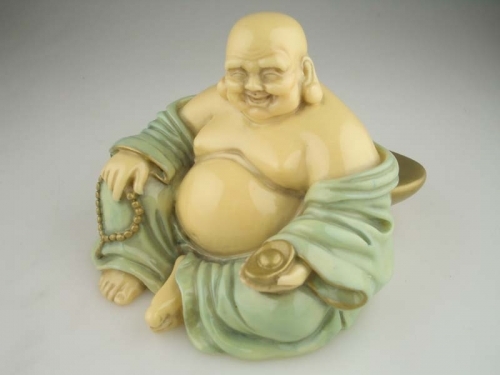 In contrast, in China and those areas to which Chinese cultural influence spread, the depiction of Budai (who lived during the 10th c. CE) is consistently short and round. Both depictions are the idealized results of the religious, cultural and folkloric traditions which evolved in the centuries after their respective deaths. "...already enlightened, but have yet to realize it." Um, yeah ... that would be me. When I was a mere kid of a boy, my family happened to visit a statuary business, and my pre-teen eyes spied a strange little figure like this one. A must-have! And indeed, I received it on my thirteenth birthday. Why it appealed to me I do not know; if I had ever encountered the word 'buddha' it must have been in an old National Geographic magazine. Nonetheless, I've lugged it around with me through this life, through thirty-odd moves to various locales. I noticed that Lin Yutang wrote quite a bit about "rogues" and "scamps" in his books, but don't recall him describing the buddhist connection. 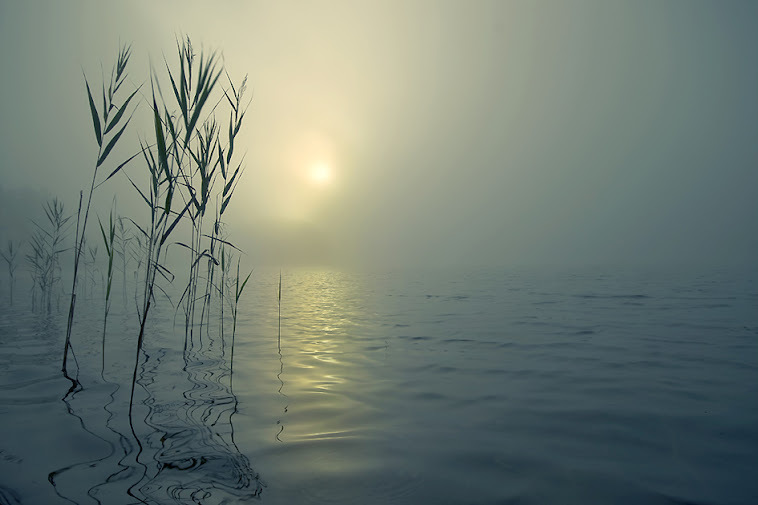 If you don't realize it, you don't have it (how can you have something that you have no perception of its existence); but if you can realize it, you don't have it either (the mere fact of having a "you" as the one who perceives means that you don't get it". What am I talking about? Silly!! !